Pain: no one likes it, but we all have it. Pain is crucial to our survival. It is one of our body’s first threat detectors. Without it we wouldn’t survive; limited awareness to threats, impaired learning from experiences and reduced adaptations to our environment would certainly lead to our demise. Now, let’s consider our environment is the CrossFit box, OLY platform, gym, baseball field, half/full marathon course, etc. 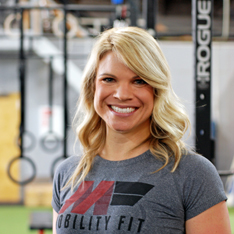 the list goes on and on for our Mobility Fit nation. How does pain fit into this life, and how can it be managed? We don’t want to “kill” or “eliminate” pain, but we want it to have purpose and run its course! The orthopedic PT stereotype for treating pain is formulaic, protocol-driven, and a little on the boring side. 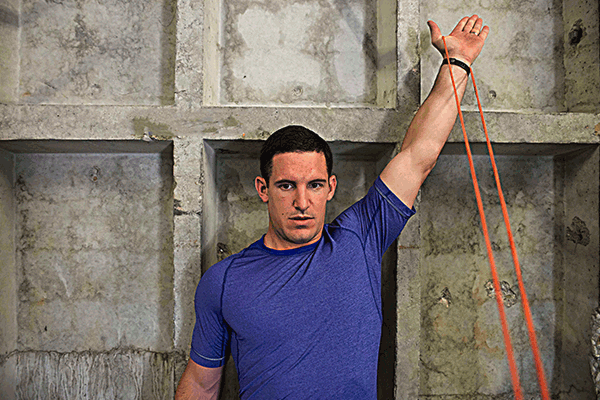 This is where Mobility Fit takes a different approach. We see tremendous variability, challenging problems, and exciting opportunities. The majority of our athletes walk in our door with pain that doesn’t have a specific mechanism or an easy answer. How can someone be this strong and still have pain? How is there this much pain without an acute trauma or surgery? Pain has been scientifically described as a descending mechanism from the brain and spinal cord for many years. Thus the treatment of pain was based on drugs and electro-stimulation technology. Now, with new studies they have found that pain is NOT a “one way street.” It is a dynamic process that involves Inputs, Outputs, and Processing. What is Input? It is external information from your environment, and internal information from bodily tissues. Example: mechanical trauma to a muscle, bone, or ligament; temperature changes; and chemical inputs like inflammation. What is Output? How we perceive pain, stress-regulation programs and action program; involuntary and voluntary (like squatting, running, clean and jerking, throwing, etc.). What is Processing? This is what happens in our communication network of the nerves that allows and keeps the whole system working together. Why is it important that your physical therapists know this nerdy stuff? Because we are the ones that have the knowledge of what Inputs to put into our athlete’s that will positively affect their Outputs! Cognitive-related brain areas: We realize the vital importance of education. If our athletes don’t cognitively understand their injury and treatment, we skipped one of the greatest influences on their pain reduction. We get the time to educate at each session; knowledge is power over your pain! Sensory signaling systems: Skin, organs, muscles, tendons, ligaments, and soft tissue inputs. This is where the rubber meets the road for physical therapists. We have the ability to greatly affect our athlete’s pain and function through manual treatments such as trigger point dry needling and Graston techniques. We are able to literally mold the central nervous system with our hands! Exercise also fits in this category, and it’s our most powerful tool! We have gone to great lengths to assure we are at the top of this field. Our exercise prescription is thoughtful, functional, and progressive. This is where the real healing begins! Emotional-related brain areas: Pain and emotions are greatly connected. As physical therapists at Mobility Fit, we are given the gift of time to work with our athletes. This allows us to listen and communicate with our clients on the level that most health professionals are not given. Sometimes the power of just listening, acknowledging, and having empathy with an athlete is enough to reduce a pain level. Our bodies are not fragile. They are strong and meant to move. Your potential is great. Let’s appreciate pain for what it is and its importance, but let’s not let it rule our lives.